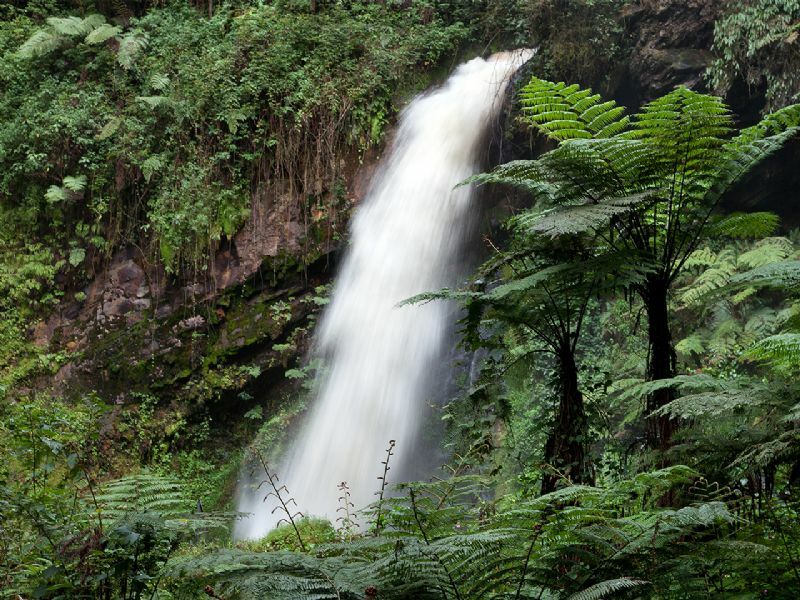 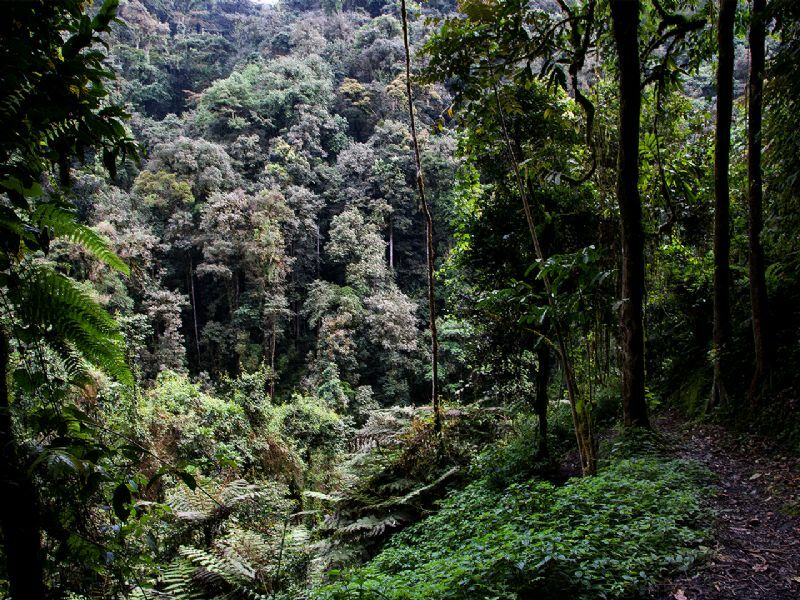 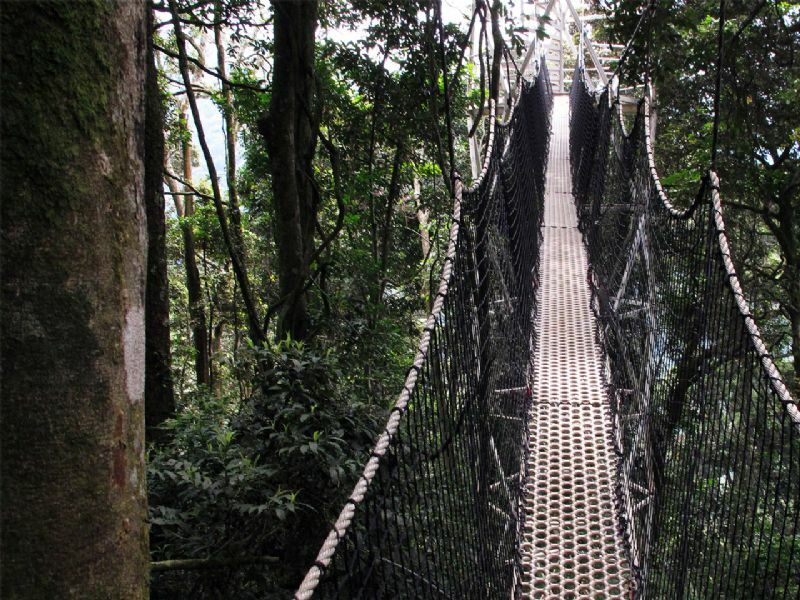 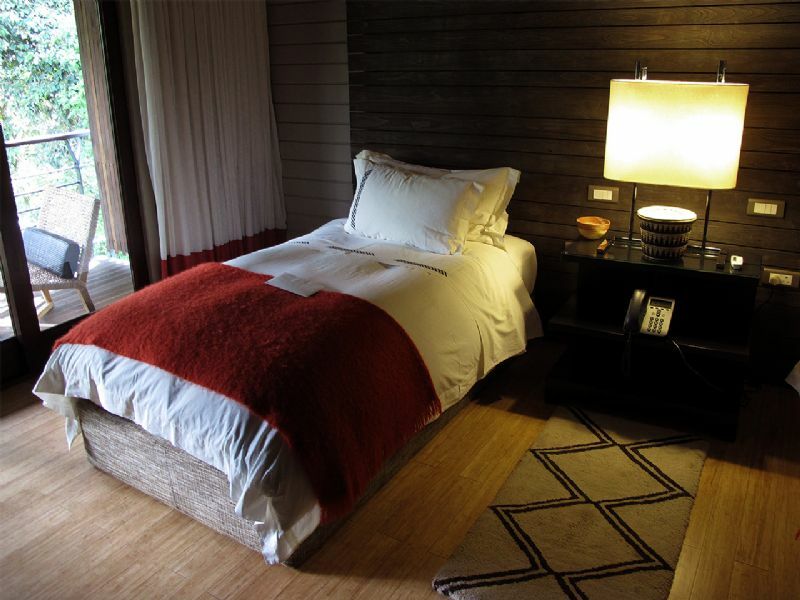 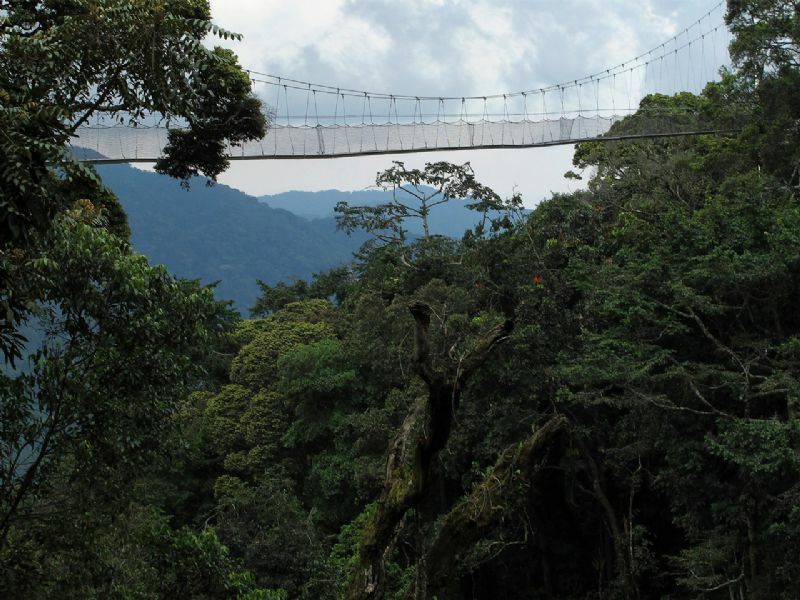 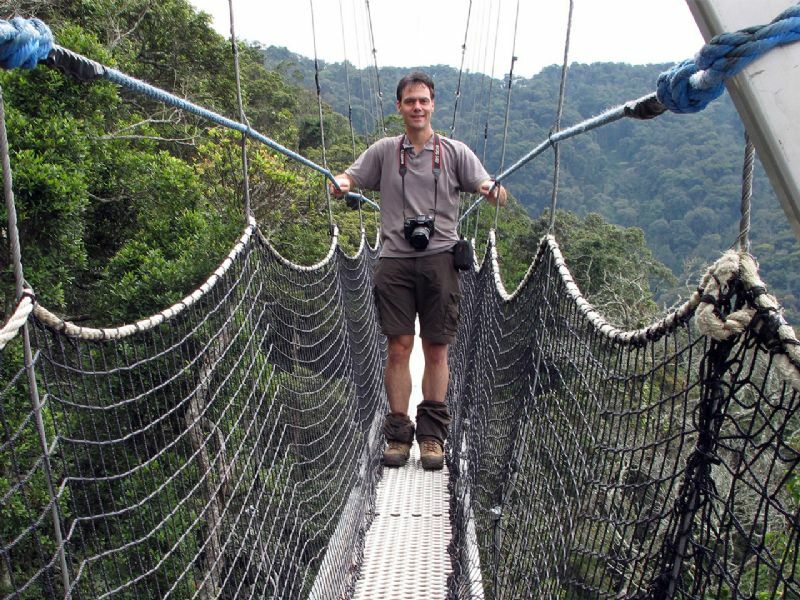 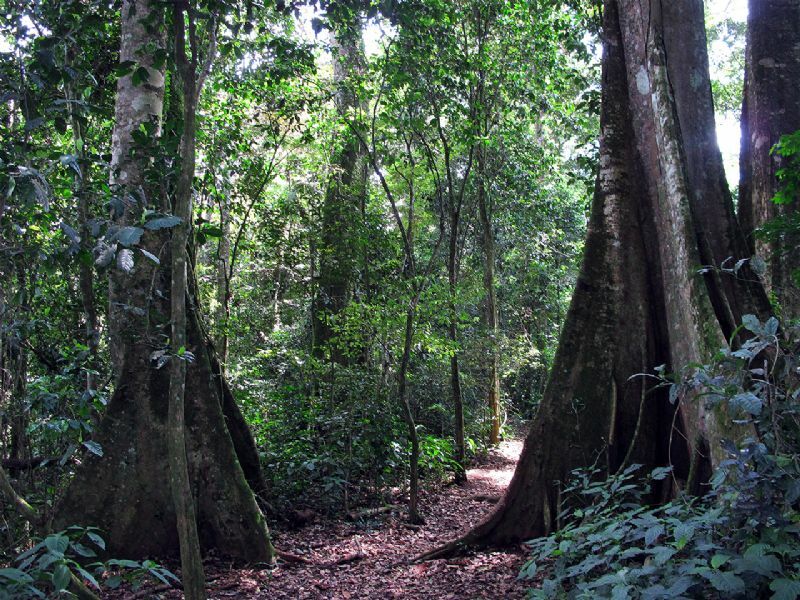 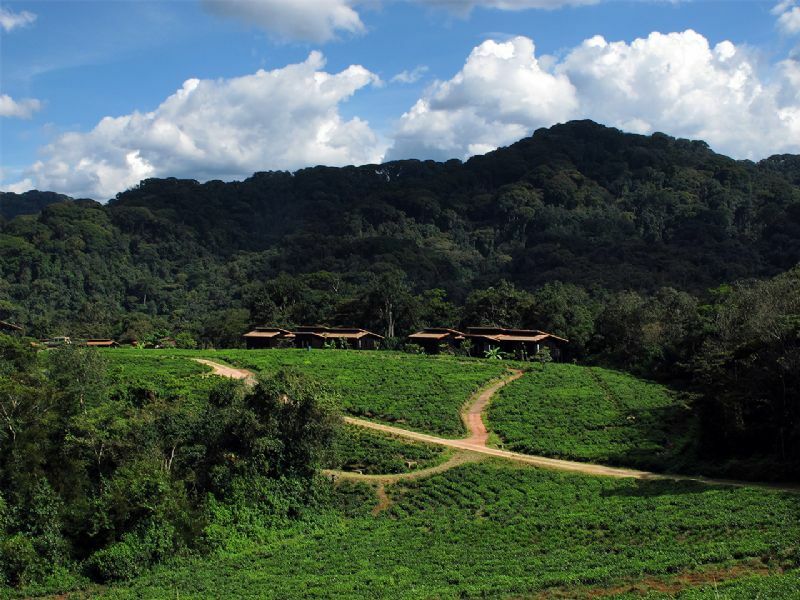 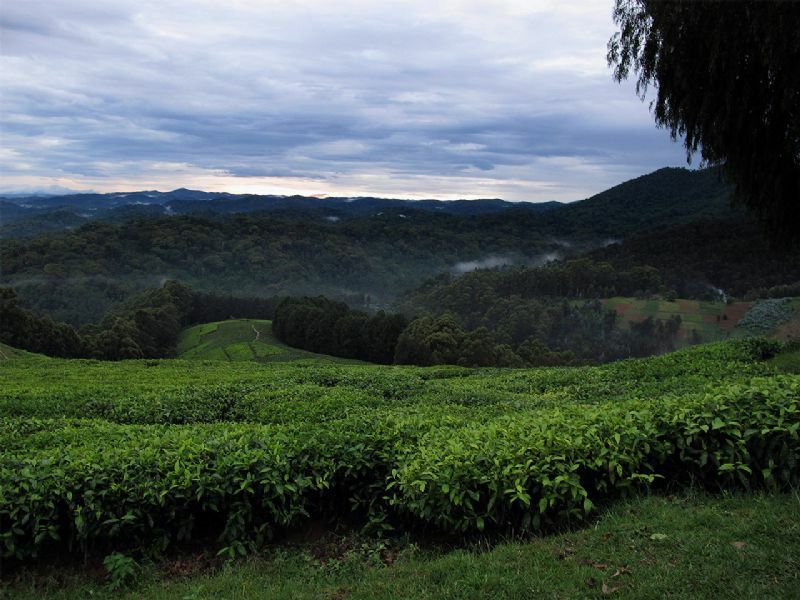 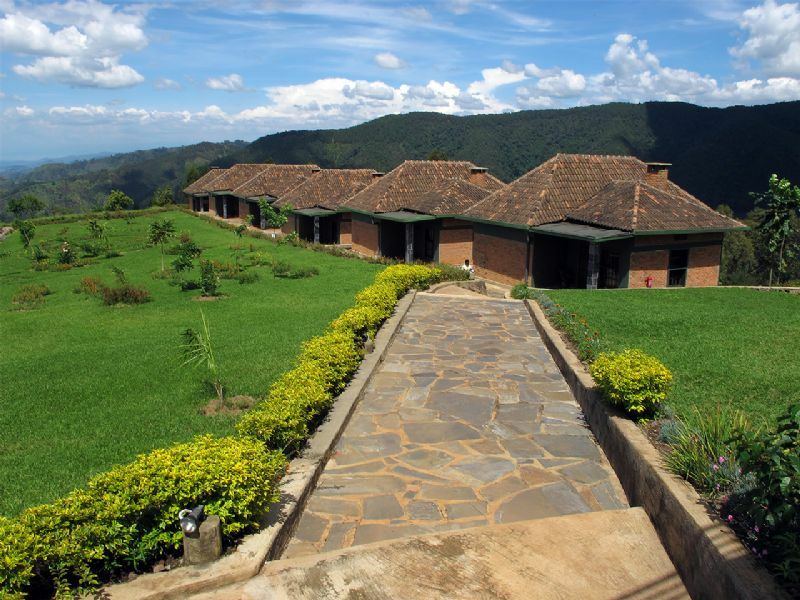 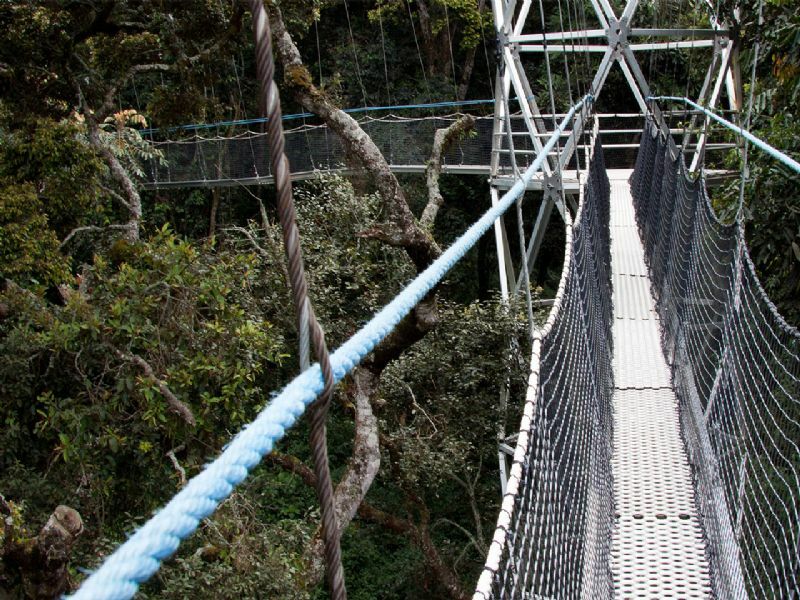 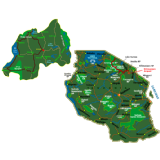 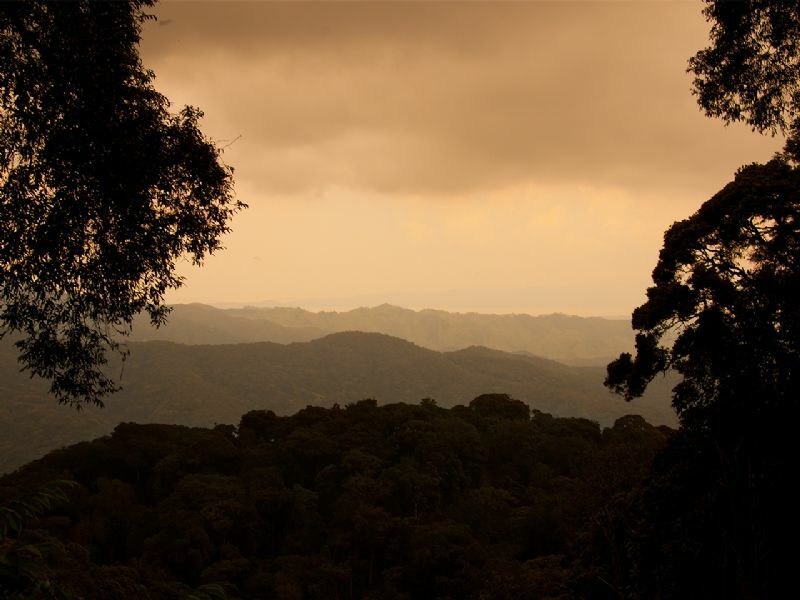 Nyungwe Forest National Park is a national park in southwestern Rwanda, located south of Lake Kivu on the border with Burundi. 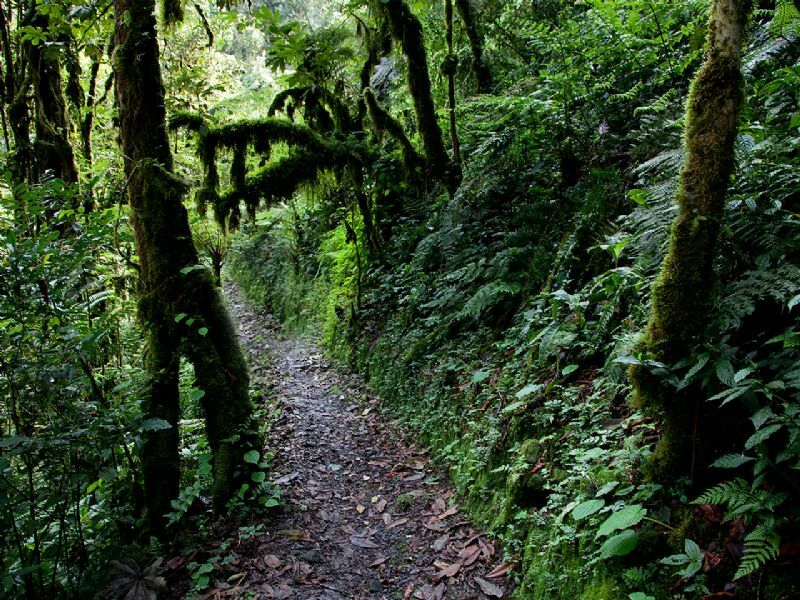 The park was established in 2004 and covers an area of approximately 970 km² of rainforest, bamboo, grassland, swamps, and bogs. 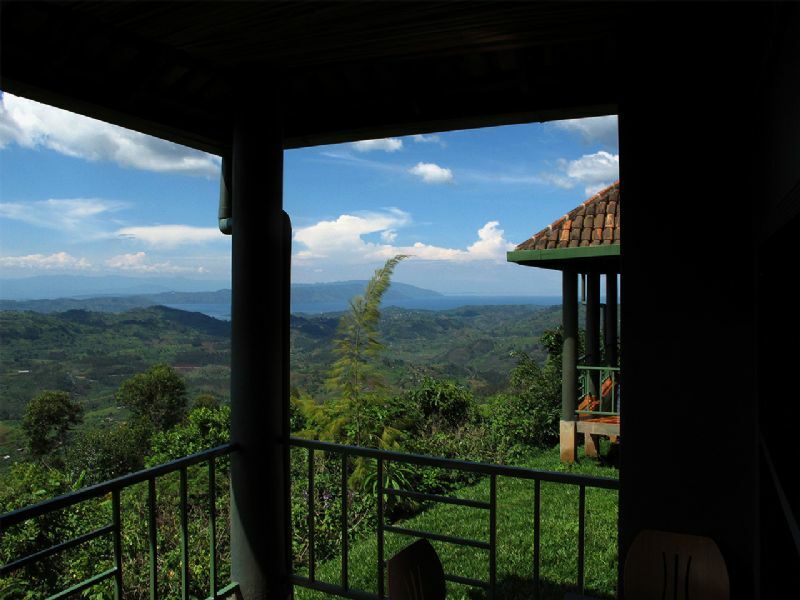 The nearest town is Cyangugu, 54 km to the west. 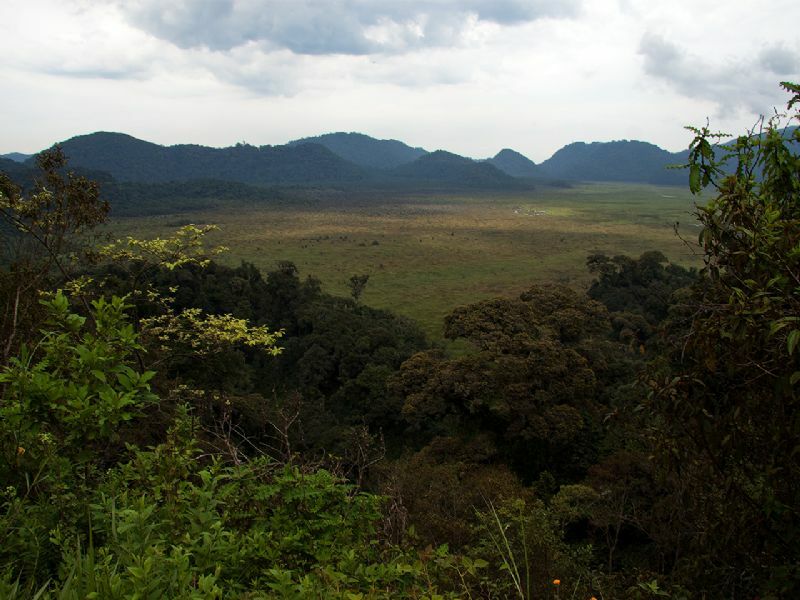 Mount Bigugu is located within the park borders. 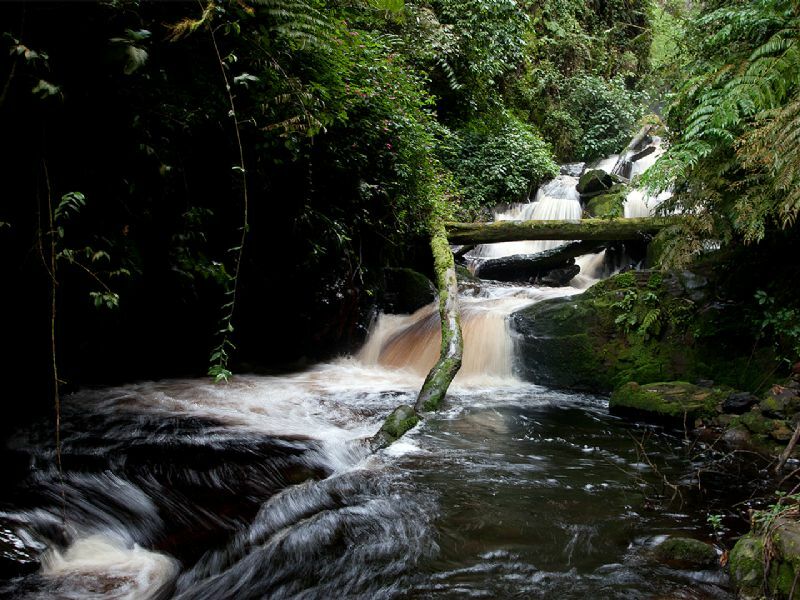 The park is the location of the most distant source of the Nile. 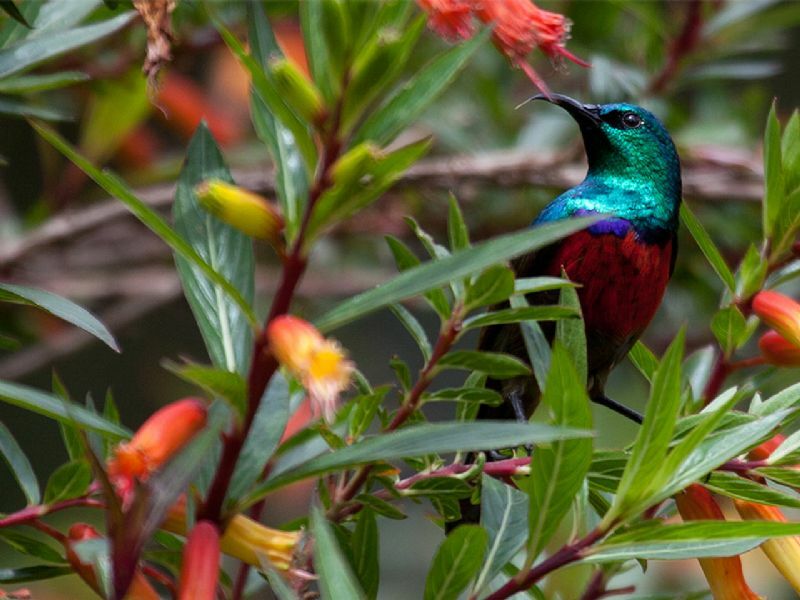 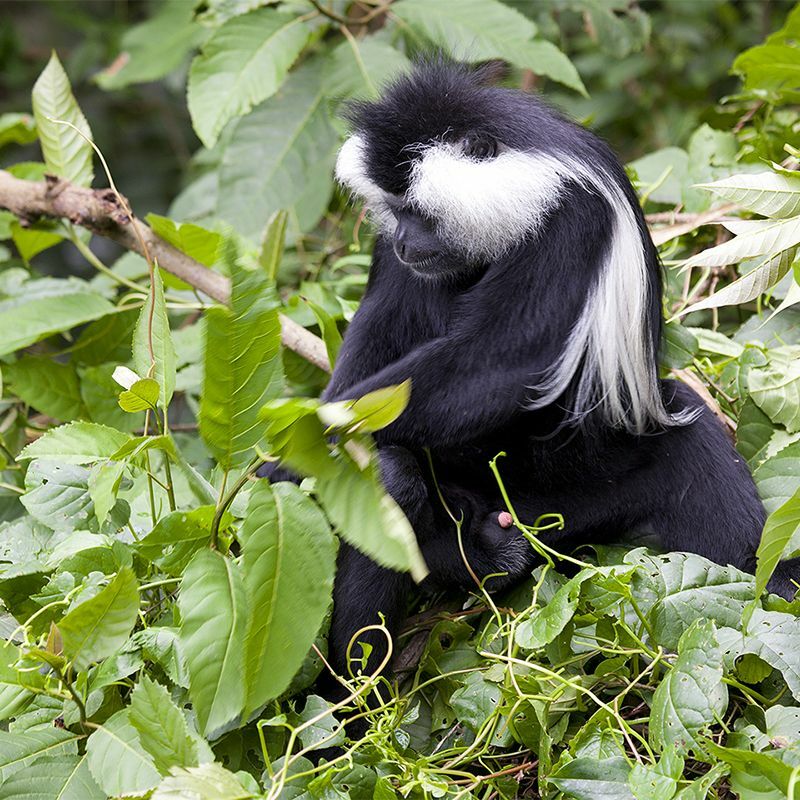 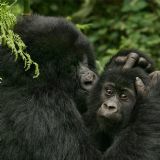 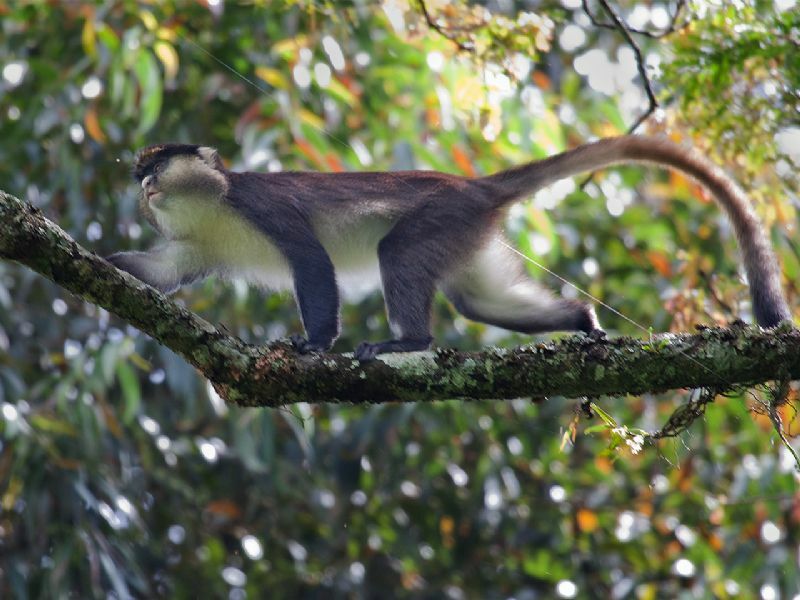 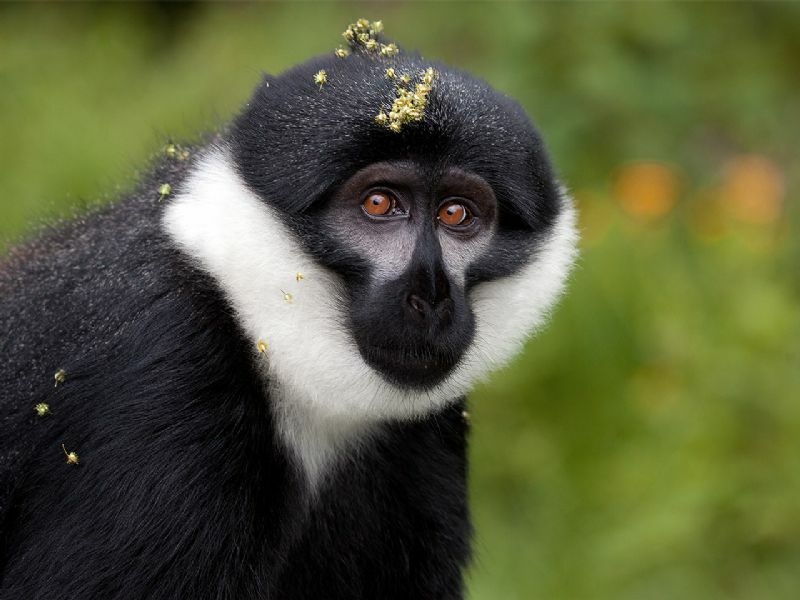 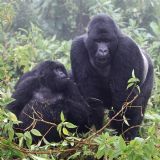 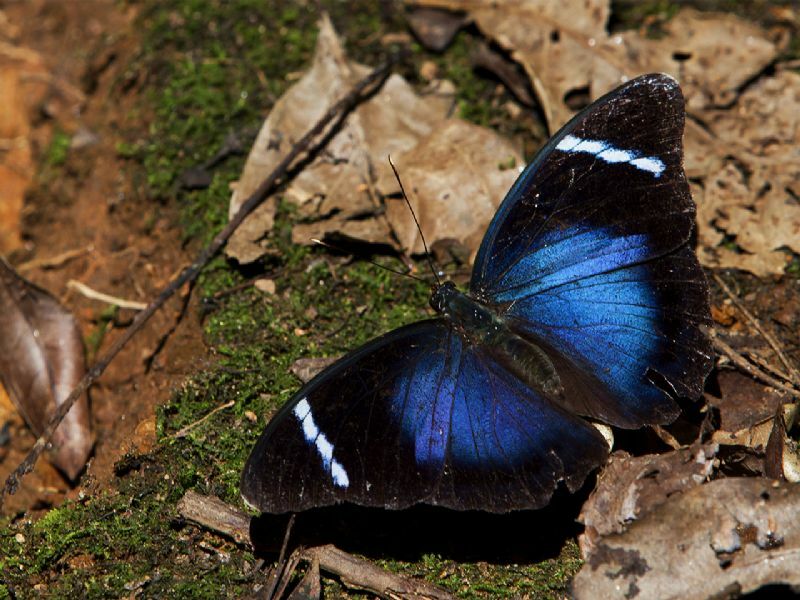 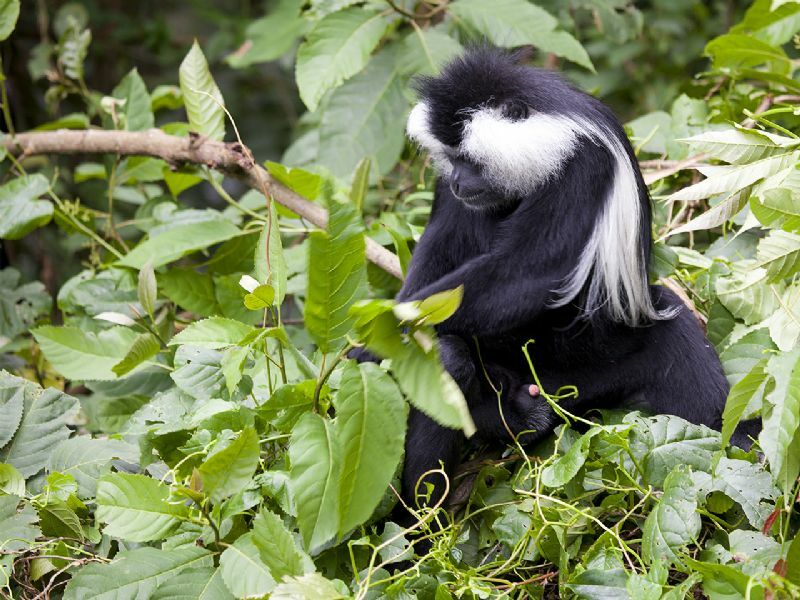 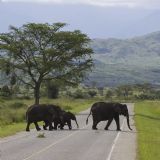 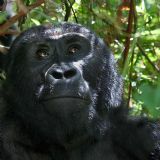 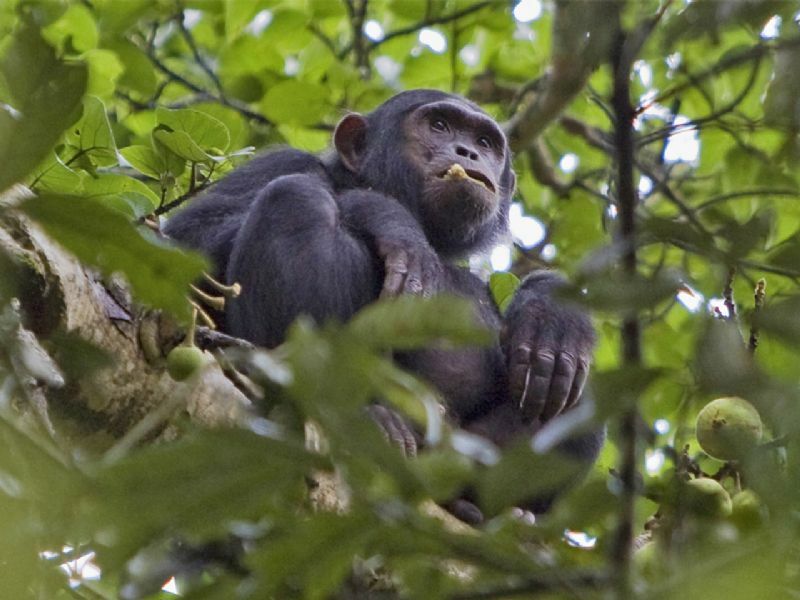 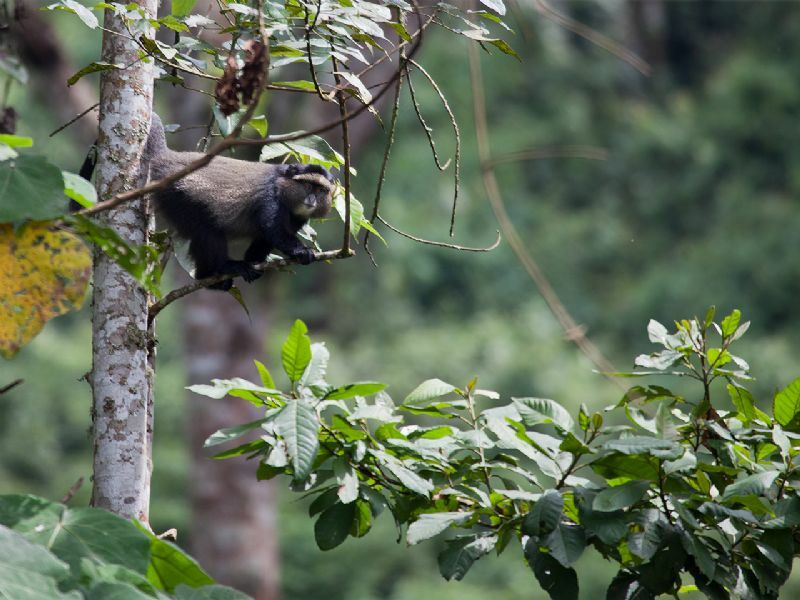 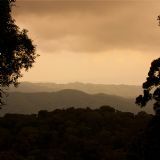 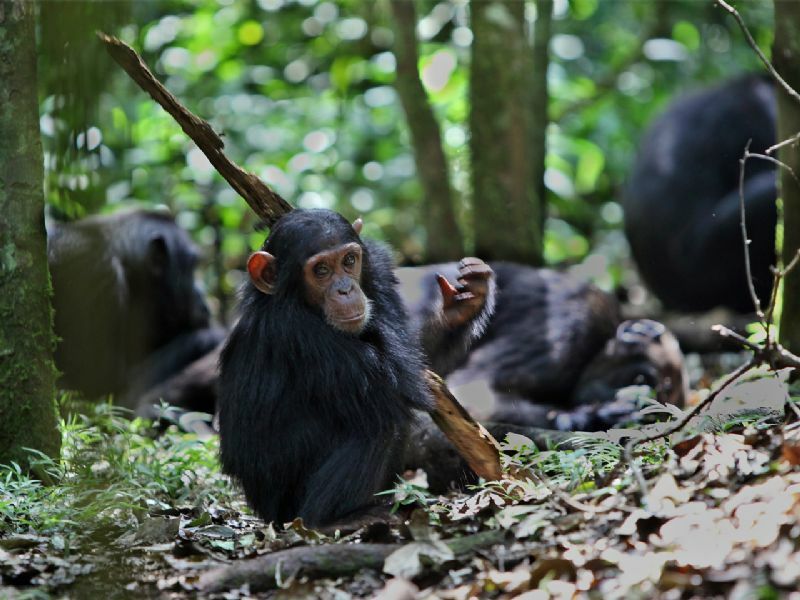 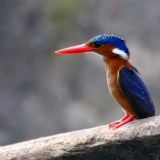 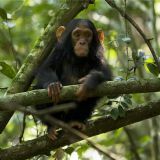 Nyungwe has a wide diversity of animal species, making it a priority for conservation in Africa. 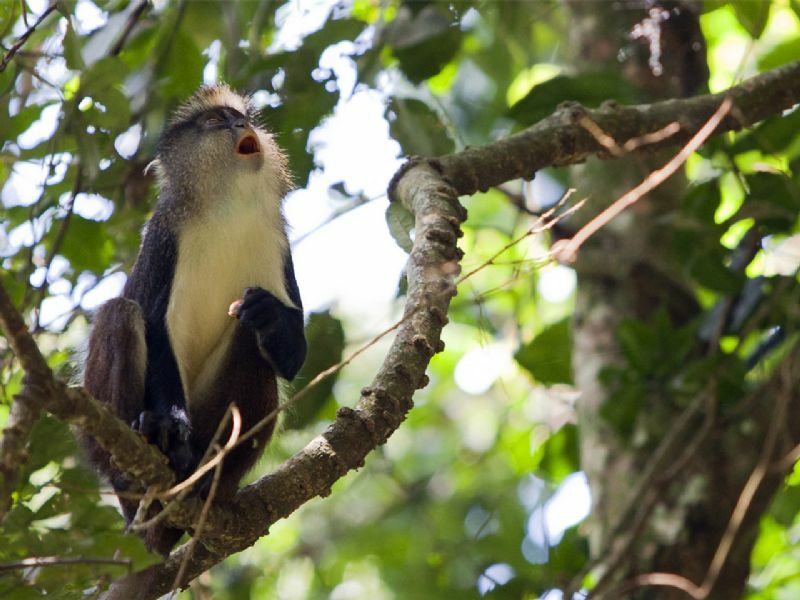 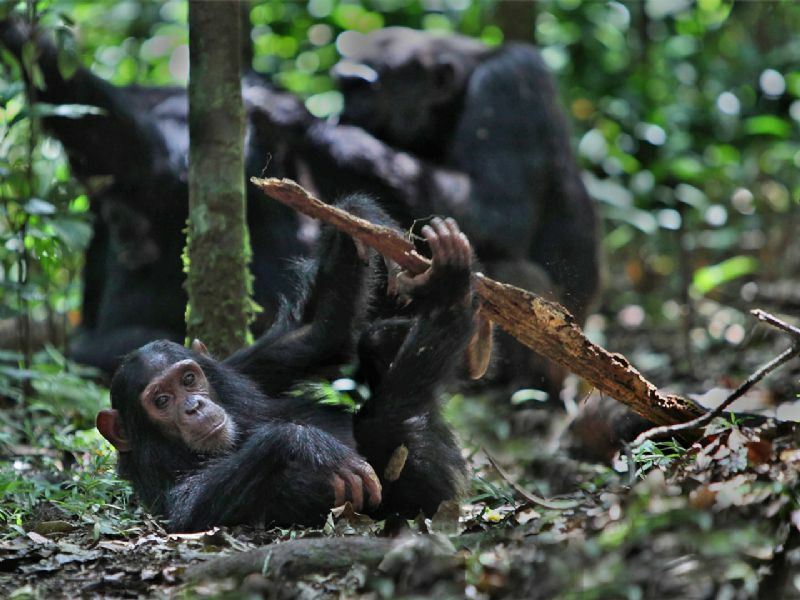 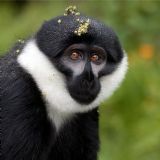 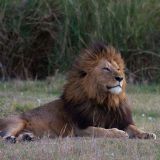 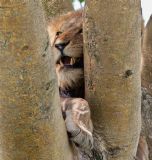 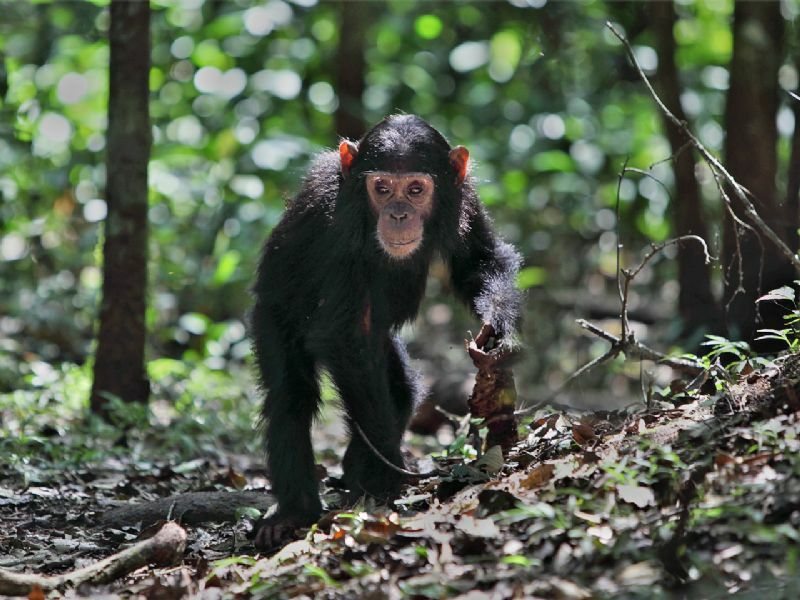 The park contains 13 different primate species (25% of Africa's total), 275 bird species, 1068 plant species, 85 mammal species, 32 amphibian and 38 reptile species. 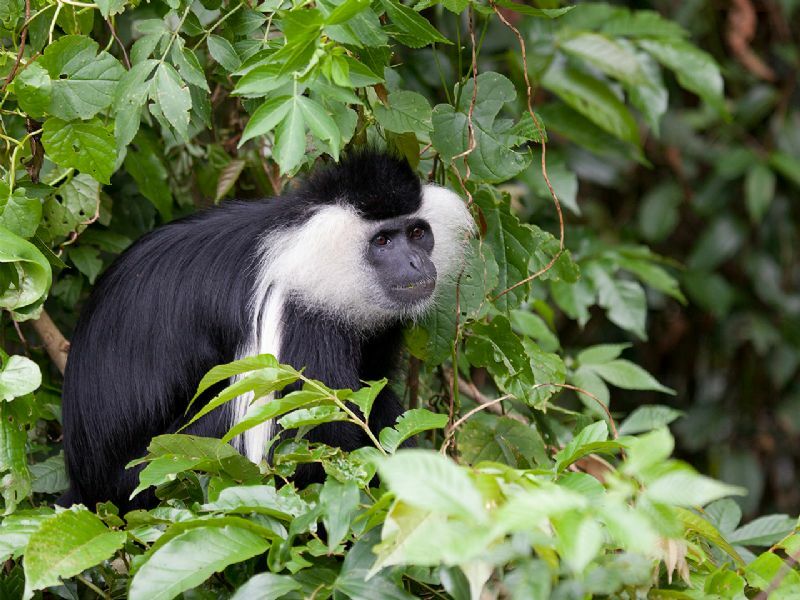 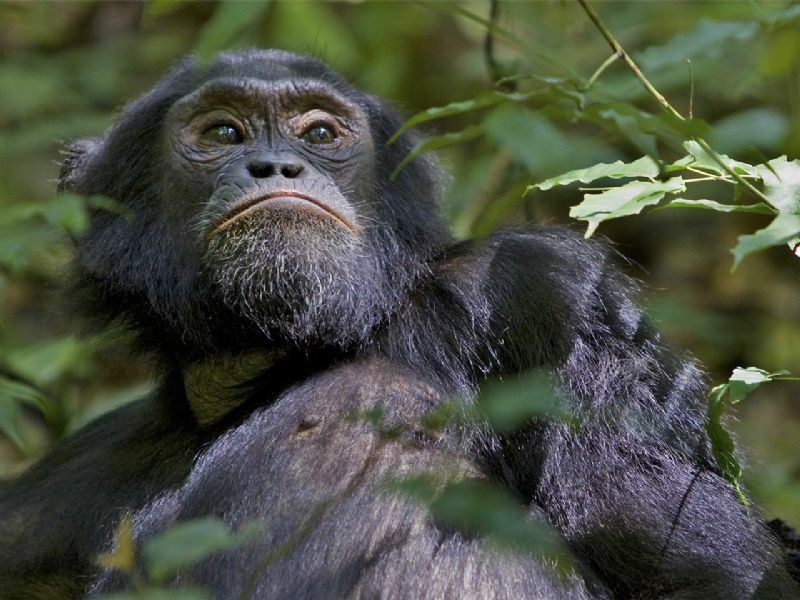 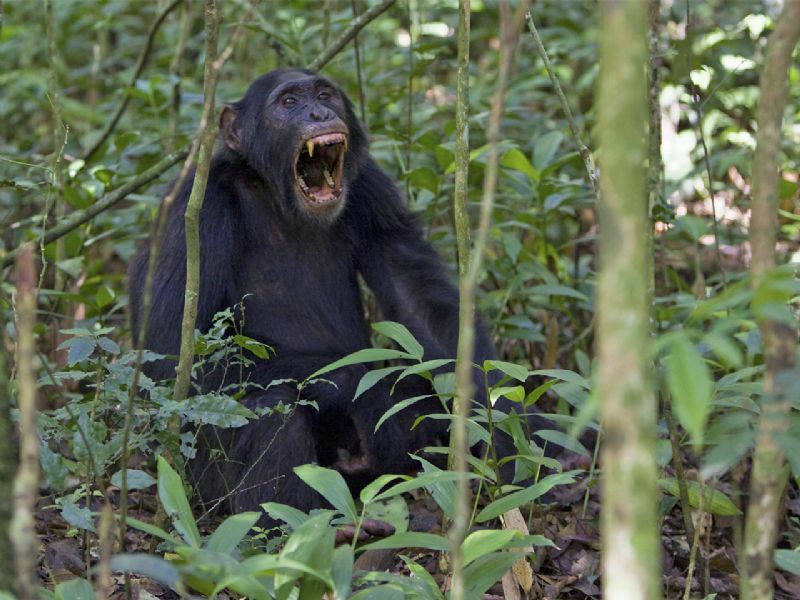 Many of these animals are restricted-range species that are only found in the Albertine Rift ecoregion in Africa. 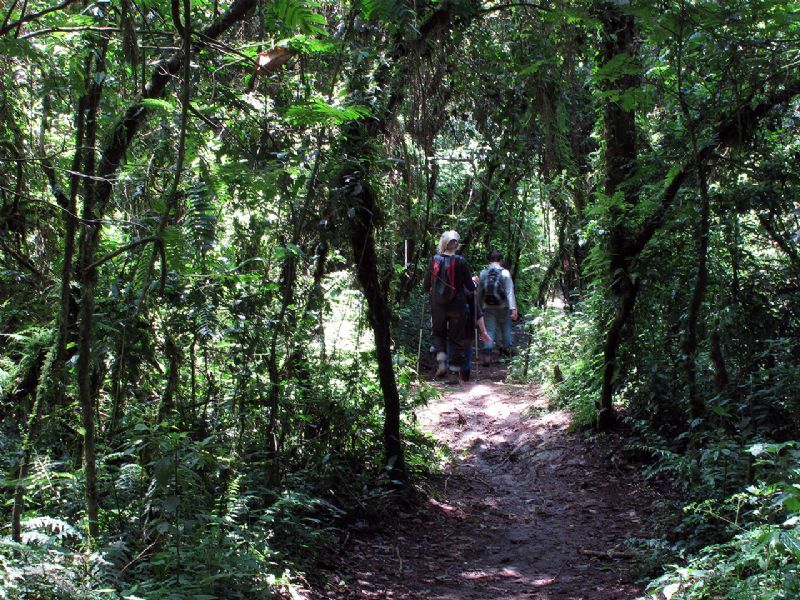 In fact, the number of endemic species found here is greater than in any other forest in the Albertine Rift that has been surveyed.